Flaunt a striking outfit in this jacket brought to you by popular Louis Philippe. 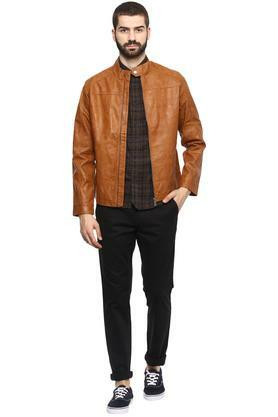 It has a solid pattern and full sleeves that will give you a smart appeal. Besides, it is made of good quality leather fabric so as to make you feel comfy all through the day while also ensuring easy maintenance. 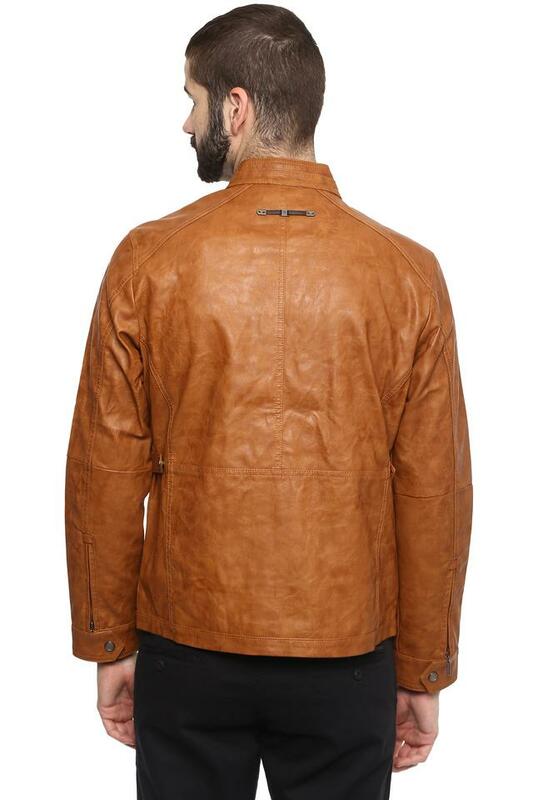 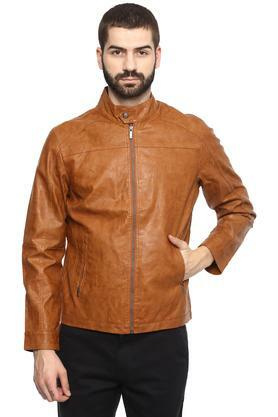 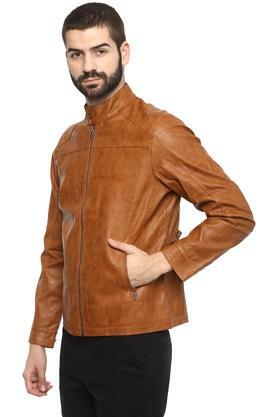 Punctuate your casual wardrobe with this jacket. You can wear it over a t-shirt along with a pair of jeans to look dashing for any casual occasion.